Cllr Jordan believes the Isle of Wight “needs a proper parking strategy that is tailored to different areas”. Cllr Whittle says the current strategy seems to work well. Plans for resident-only parking restrictions on Ryde roads could push more parked cars onto surrounding streets, the town’s Planning Committee meeting heard. Meanwhile visitors and commuters are avoiding main car parks due to ‘spiralling costs’. Independent member for Ryde North West Cllr Phil Jordan, warned of a potential “nightmare scenario” with visitors and residents alike struggling to find anywhere to park. 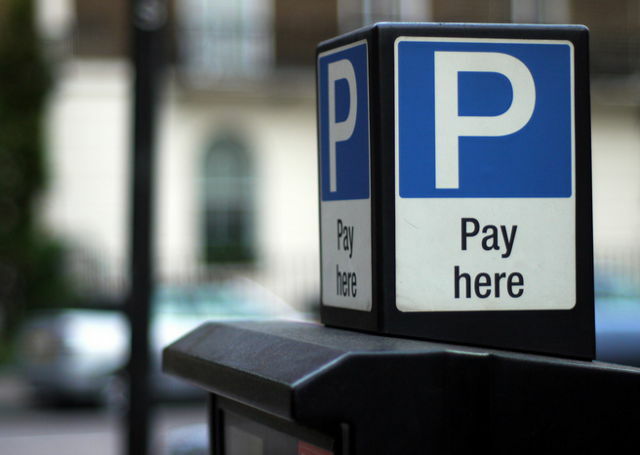 OnTheWight reported last September that most respondents to a resident parking zone survey thought permits should be free, but if approved they could cost £60 for the first permit, and £100 for the second car. Ryde Town Council had invited the public and businesses to express views on the Isle of Wight Council’s proposal to extend on-street parking charges in the town at the end of last year. Vehicle registrations on the Island are said to be around 64,000 (140,000 population) and that number is growing. Forecasts put it at around 70,000 vehicle registrations by 2025. That does not include huge visitor vehicle numbers, mainly during the summer. “The current resident parking strategy is a complete kneejerk reaction. Cllr Jordan said he thought that a new overall strategy might look at on- and off-road parking, and could increase off-road parking availability, perhaps by low level multi-storey car parks in some places (Newport, Cowes and Ryde could be contenders). Schemes could also include lower off-road parking charges and park and ride schemes. The cost of St Thomas long-stay car park in Ryde, for example, has risen significantly – Island residents parking permits went from £50 per year in 2012 to a massive £435 a year now. And that has resulted in extra vehicles parking around the Front, Esplanade, Dover Street, Spencer road and other streets around Ryde. Conservative member for Ryde North East Cllr Wayne Whittle thought the Isle of Wight Council’s planning strategy seemed to work. He explained that under the current consultation up to 51 percent of residents in a street must agree to have Parking Permit status. He added that he is representing a group of residents who do want a permit zone. Change of contact for who to contact with comments about resident parking permits. 4 Comments on "Ryde resident parking permits could be ‘nightmare scenario’, says Cllr (updated)"
People parking their business vehicles on public roads is a problem where I live. Delivery vans, luton vans, car transporters, cherry picker trucks. I know they’re entitled to park wherever, but who would buy a cherry picker truck without having a premises to park it overnight? Cllr Jordan is quite right – we do need a coherent parking strategy that allows for the different needs of different communities on the Island. The current system applauded by Cllr Whittle just moves the problem on in commuter and holiday areas. Complacency or what?